The real estate industry has changed over recent years, and for agents to achieve the best results for their clients, they need to change with it. Understanding new markets, embracing new technology, and taking a modern and proactive approach to marketing a vendor's property are all essential skills for an agent to achieve success. But these skills need to be partnered with a genuine ability to understand their client's wants and needs, and a desire to work tirelessly to achieve the best outcome for them. Katrina Beohm is one of the new breed of real estate agents who are changing the face of the industry. With over ten years experience working in the local real estate industry, Katrina has been involved in all aspects of the sales and property management sectors. With endless enthusiasm, determination and sheer hard work, as well as an unwavering customer service ethic Katrina is at the top of her game, gaining a reputation as a smart, ethical and results driven agent who achieves outstanding results for her clients time and time again. In recognition of her outstanding success, Katrina has received many National and State awards, including the Chairman's Honours for the Highest Number of Rural Sales Australia wide in the First National group. 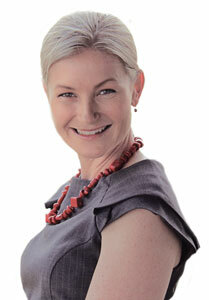 And now Katrina has openned her own agency – Katrina Boehm Real Estate, in Lismore. "Opening a new office in Lismore allows me to take my career to the next level and keep reinventing systems to help people in the ever changing real estate industry," Katrina said of the decision. "I love being a real estate agent. I pride myself on achieving my goals, which in turn goes hand in hand with helping people achieve their property goals." Katrina intends on combining her contemporary approach to the industry with her solid base in the local community; a community she says she is proud to be part of. "Growing up on my family's farm at Keerrong, I spent my holidays at East Lismore with my late Nan, who once owned the dairy farm at what is now Southern Cross University," she said. "I have an in-depth knowledge of the local area and market, which is reflected in my ability to constantly achieve the best result for my clients. This has led to a broad and loyal client base and a growing list of referral clients." Together with her assistant Katie Cross, Katrina is looking forward to welcoming previous clients to her new venture, as well as meeting many new ones. We service rural and residential properties in the sales and property management areas. With the unbeatable combination of local knowledge, an understanding of new technology, and a dedication to achieving outstanding results, Katrina Beohm Real Estate promises to be a force to be reckoned with in the local industry.